Game, Dance, or a Martial Art? - Learn Portuguese and Rio. Game, Dance, or a Martial Art? Portuguese Students at Grupo Senzala. 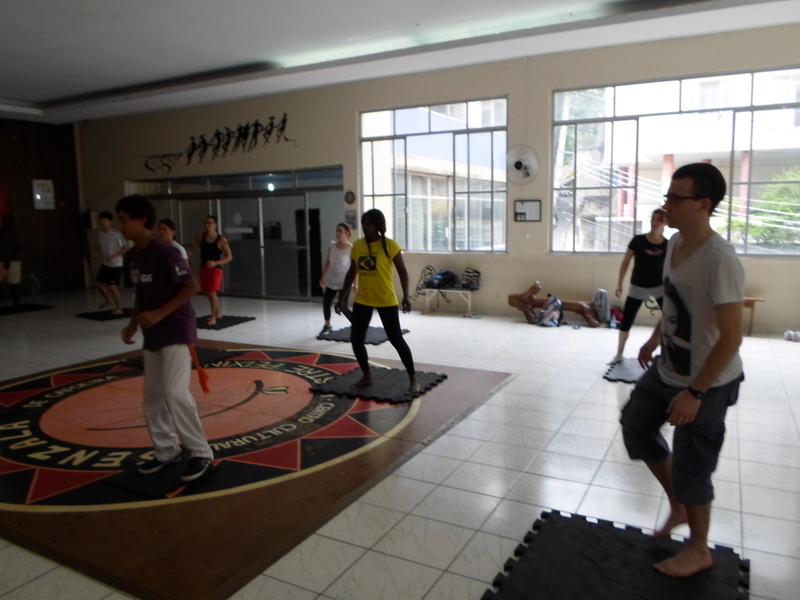 Participé en la clase de capoeira sin saber exactamente de que se trataba y terminé feliz y muy interesada en saber más. 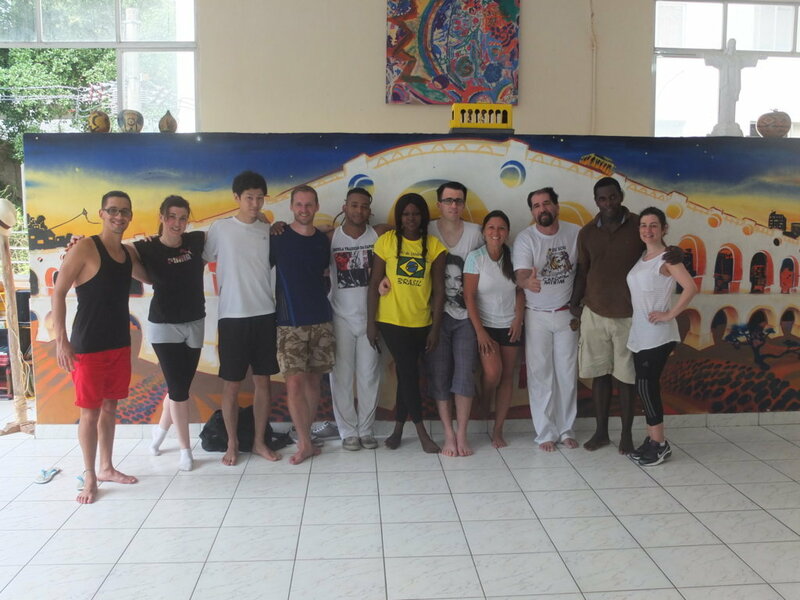 Aprendí que la capoeira es un ritual maravilloso, lleno de espiritualidad, música y con un sentido de libertad en su esencia. Fue muy divertido practicarlo y compartir la experiencia con amigos de la escuela. Definitivamente volveré a hacerlo cuando regrese al Perú! Game, Dance, or a Martial Art? 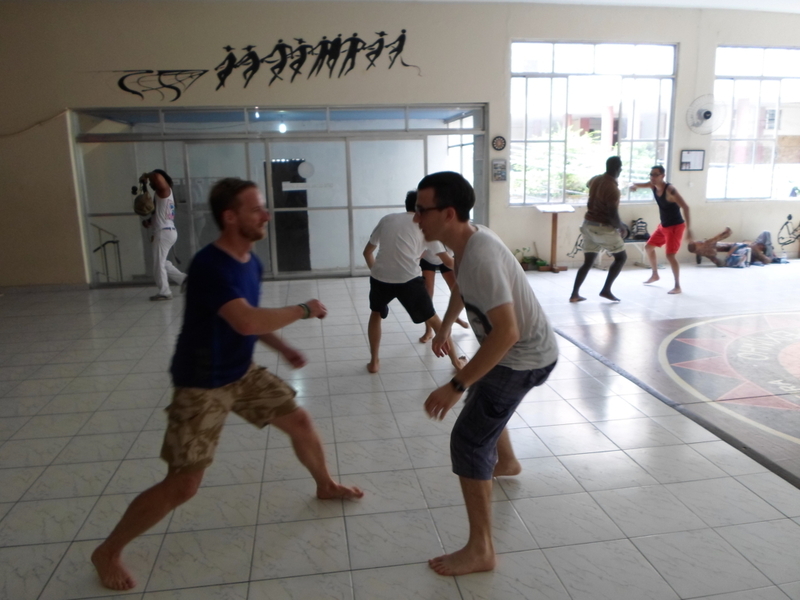 Capoeira has the three different characteristics. 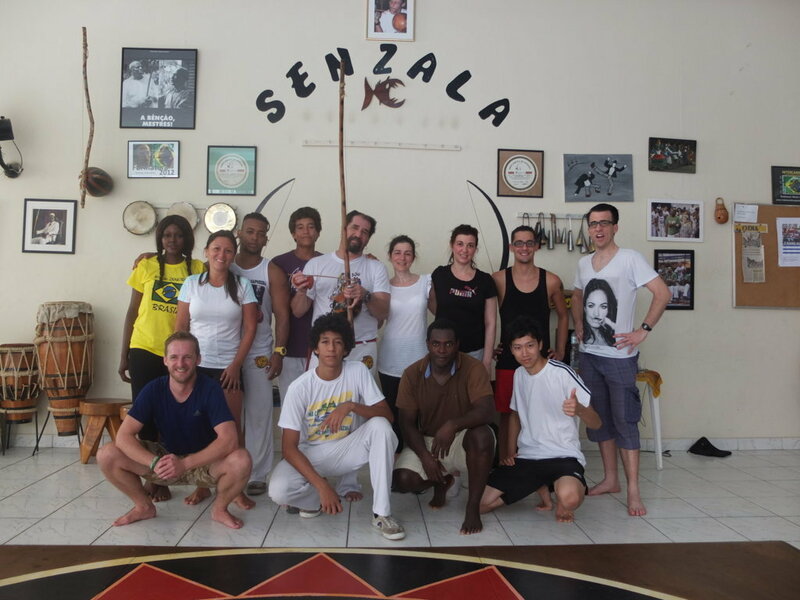 We left the school and headed to Leme, where we were welcomed by the capoeira group called Senzala and we had our class with Mestre (how they call the teacher) TonyVargas. 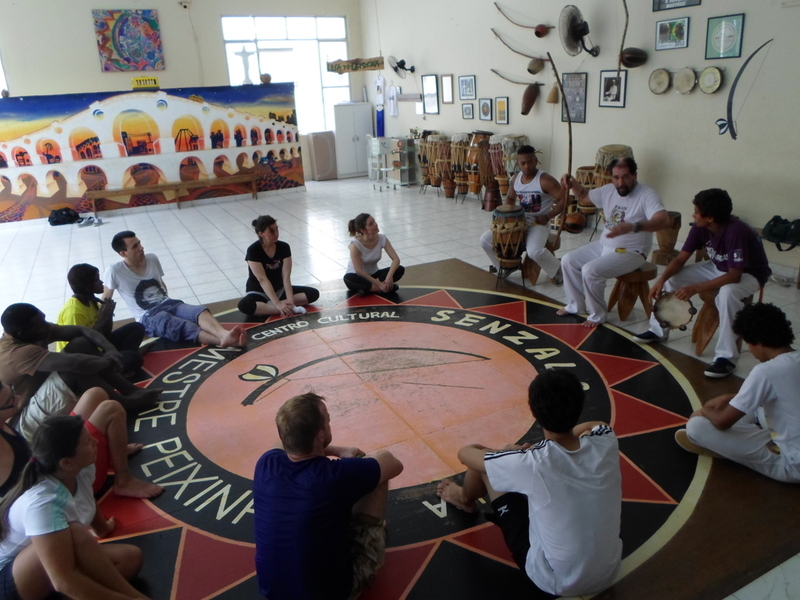 He started telling the history of capoeira, that started in Brazil with slaves from Africa. The most interesting part was that the teacher told everything in Portuguese and it was a great practicing for our Portuguese students. Everybody was fascinated with the history of this art and they made many questions to the teacher. At last, everybody was very tired and they decided to have some drinks at a quiosque on the beach. It was an excellent afternoon with sports and Portuguese practicing. 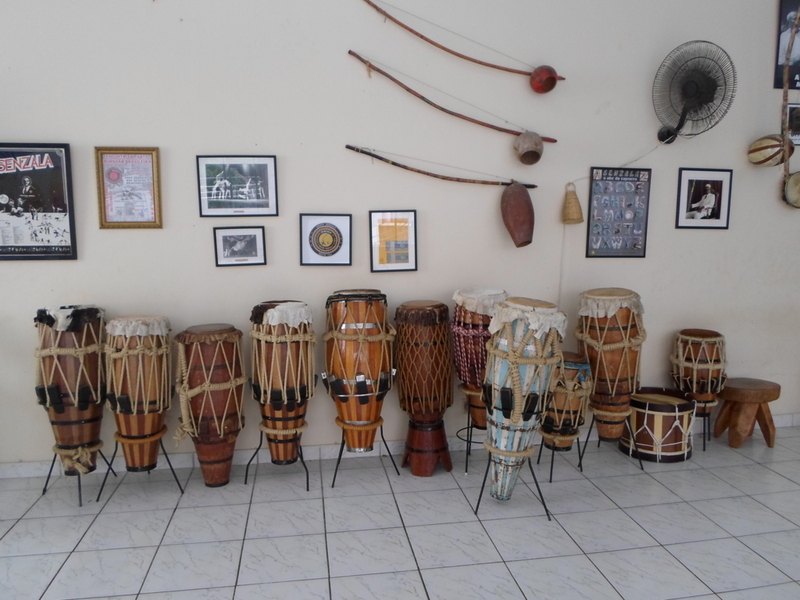 If you are looking for learning Portuguese, having fun and knowing interesting things in Rio de Janeiro, Rio & Learn is your place!